Giant anteaters kill hunters in Brazil - is habitat loss to blame? With a lengthy snout, fluffy body and forelimbs that make them resemble grazing pandas, giant anteaters are a little odd to say the least. But a new report reveals something you might not know about these hairy termite-gobblers … they've also been known to kill people. In what must be some of the most unusual animal attacks on record, two recently reported incidents in Brazil involving giant anteaters have resulted in human deaths. It might sound like the perfect plotline for a Hollywood scare-flick (Rise of the Giant Anteaters? ), but the attacks are unusual and they raise concerns about the effects of habitat loss on the species. "Both [victims] were farmers, were hunting and were attacked by wounded or cornered animals," Vidal Haddad, the lead author of a research paper on the events, explained to AFP. In the first incident recorded in 2012, a hunter happened upon an anteater in northern Brazil and made the mistake of approaching the animal with his knife drawn. 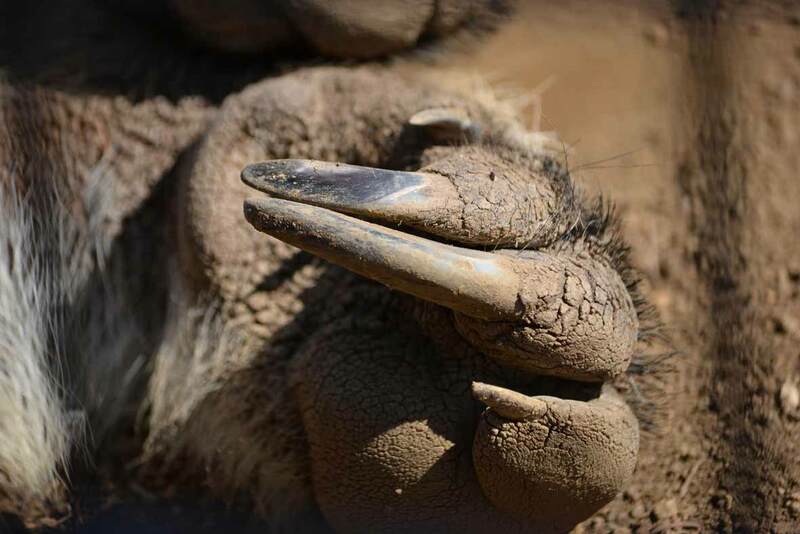 In retaliation to the perceived threat, the anteater stood up on its hind legs and used its lengthy claws to inflict severe injuries to the man's arms and thighs. The victim bled to death on the scene. An earlier case in 2010 involving a 75-year-old hunter follows a similar narrative. The man reportedly died after suffering puncture wounds to his femoral arteries from an anteater attack. Although these incidents are rare, Haddad believes they are significant as they clearly emphasise the importance of giving these animals space – something they are losing rapidly to deforestation and human development. Considered the most threatened mammal of Central America, only about 5000 giant anteaters exist in the wild. According to the IUCN, hunting, wildfires, roadkills and destruction of habitat have led to a 30 percent decline in giant anteater numbers over the last 21 years or so. Perhaps it is not that surprising, then, that anteater attacks are making the news. The moral of the story: stay away from the furry thing with the massive claws.